Umpiring registrations for the 2018 season are now open, providing the opportunity for a new wave of umpires to join the sport. 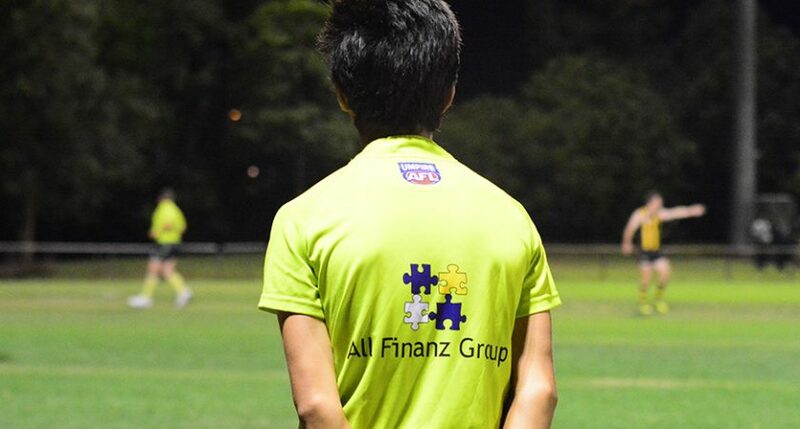 According to AFL Queensland Community Umpire Development Manager Nicholas Liparota, umpiring continues to have a strong appeal for a broad range of participants. Whether it’s goal umpiring or the roles that involve more running, like field or boundary umpiring, he believes it’s a community for everyone. “It’s also a great way to earn some cash,” he said. For those that enjoy the fitness aspect, there’s a never-ending scope for improvement and an opportunity to develop as an athlete. There’s also a self-development component to umpiring that Liparota thinks can help people grow into themselves. “It’s a great chance to develop not just themselves as a football person, but also a normal person, to grow into their skin,” he said. Liparota has also noticed there is a strong team element to umpiring and a fun team atmosphere at training. “We’re the third team on any field,” he said. A wide range of age groups are able to participate with current participants involved in the program aged as young as 13 to as old as 80. Registrations are now open for the 2018 season via the below link.